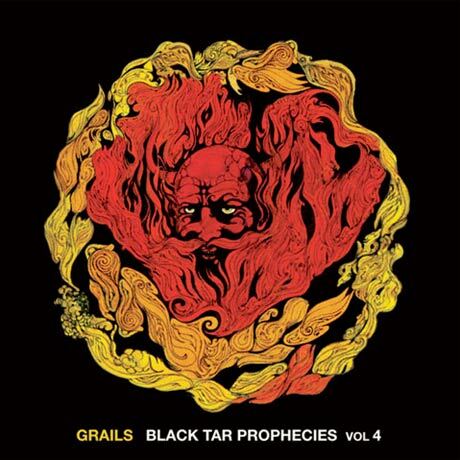 Serving as the side-project of Om drummer Emil Amos, Grails have announced their latest release in the epic post-rockers' Black Tar Prophecies series. The EP will get a vinyl release this spring via Important Records. As BrooklynVegan reports, Black Tar Prophecies Volume 4 is a five-song effort that will lead up to the band's upcoming full-length, set to drop on Important in 2011. On top of Volume 4, Black Tar Prophecies Volume 5 is also in the works. When Important releases Volume 4 on May 25, it will be limited to 500 picture disc records and another 1,000 standard LPs. Later, Volume 4 and Volume 5 will be combined as a single LP for Temporary Residence. EP closer "Up All Night" can be downloaded here, and a trailer for the release can be streamed below. 1. "I Want A New Drug"
3. "A Mansion Has Many Rooms"
GRAILS- BLACK TAR IV COMMERCIAL from The Fact Facer on Vimeo.